Manchester United have taken the top-level decision that Wayne Rooney will not be sold to Chelsea no matter how much money is offered or whatever the potential risks of keeping an unhappy player. Their stance is irreversible and will represent a significant setback for José Mourinho, who had been under the impression a deal to take him to Stamford Bridge was only a matter of time. Chelsea have already failed with two bids, offering £23m on 16 July and £25m on 4 August, and had been convinced United would eventually cave in rather than keep a player whose relationship with the club had deteriorated so badly. On the contrary, the Glazer family is absolutely determined there will be a show of force at Old Trafford this summer and that means automatically rejecting any further Chelsea bid out of principle. United believe it would be weak in the extreme to bend to player power, no matter how messy it threatens to become before the end of the transfer window, and their position will not change if Rooney hands in a formal transfer request or goes public with his desire to leave. The forward, who is in contention to lead England’s attack against Scotland at Wembley on Wednesday, will be told United still cherish him as a player and that he needs to think long and hard about clearing his mind and rediscovering his best form in a World Cup year. Over the next couple of weeks there will be a public request from David Moyes that United’s supporters recognise his contribution to the club over the last nine years and refrain from making their displeasure known when he returns to the team. Rooney’s determination to move to Stamford Bridge, having handed in a transfer request in October 2010 amid strong interest behind the scenes from Manchester City, has turned many fans against him. The hope at Old Trafford is that it will eventually blow over and that Rooney will come to realise his falling out with Sir Alex Ferguson should have no bearing now. The move indicates that the west London club have all but conceded defeat in their pursuit of Wayne Rooney, though having had bids of £23m and £25m rejected by Manchester United, Mourinho may decide to test the champions’ resolve one last time. But given the Glazer family, who own United, consider that Rooney staying at the club beyond the current transfer window is now a matter of principle, it seems that any further will be dismissed out of hand. David Moyes, the manager, is also minded that selling Rooney to a serious rival could all but hand the championship to that club. At 32, Eto’o would offer Champions League-winning experience, both at Barcelona and Internazionale, and is being considered owing to Mourinho’s misgivings about Fernando Torres’s ability to consistently score. Eto’o, who is available as Anzhi seek to cut costs, signalled he would be open to the move, by saying: “There is only one José Mourinho. I have played under a lot of great coaches – but there is no other character in the game like José. Eto’o was a pivotal member of the Internazionale side who won the treble of Serie A, European Cup and Italian Cup in 2010 with Mourinho as their manager. 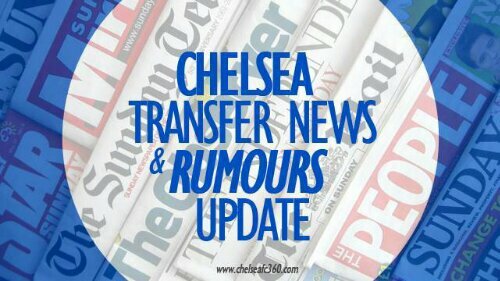 With Internazionale and Napoli reportedly interested in the Cameroonian, Mourinho faces competition should he decide to move for him, though given his and Eto’o’s previous relationship, Chelsea would appear to be favourites. David Luiz has dropped a transfer bombshell on Jose Mourinho just a week before the season starts, telling the Chelsea manager he wants to quit for Barcelona, according to reports in Spain. The Brazil centre half is top of new Barca boss Gerardo Martino summer shopping list as he bids to reposition the Catalan giants at the summit of European football. Luiz, who has been at Chelsea for two-and-a-half years, has overcome initial concerns about his ability following the £25million move to Stamford Bridge from Benfica, becoming one of the Premier League’s best defenders. Internationally, he has excelled alongside Thiago Silva, who earlier this summer turned down a move to the Nou Camp. New Blues boss Mourinho has previously questioned some elements of Luiz’s game, but has been unequivocal in his stance that the 26-year-old would not be sold this summer. Spanish newspaper Mundo Deportivo claimed on Tuesday that Barcelona’s initial bid of £25m was laughed out of the room by Chelsea, though the firm interest was enough for the player to inform the English club he wanted to leave. Luiz’s stance has encouraged Barca, who are now prepared to raise their offer to around £31m. That, however, falls £12m short of Chelsea’s minimum expectation. Jose Mourinho's master-guide to success!